Experience a new dimension of profiling. 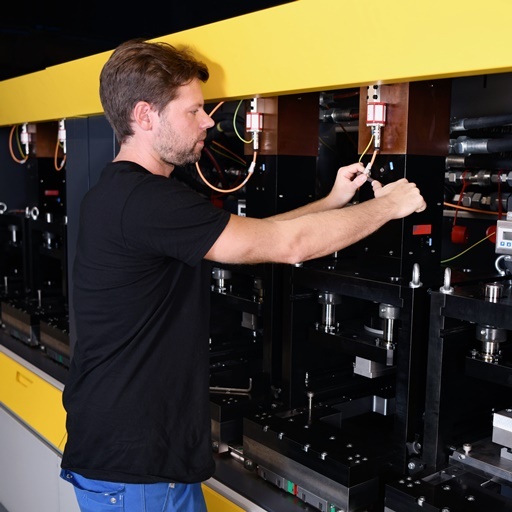 How can more tailored and flexible profiles be manufactured that offer ideal value for money? With the profiling system 4.1: it’s a game-changer, accommodates the needs of operators and enables a new dimension of profiling. More flexible, individual and economical than ever before. Integrated processes enable welding, toxing, riveting, foiling and much more – on one machine. 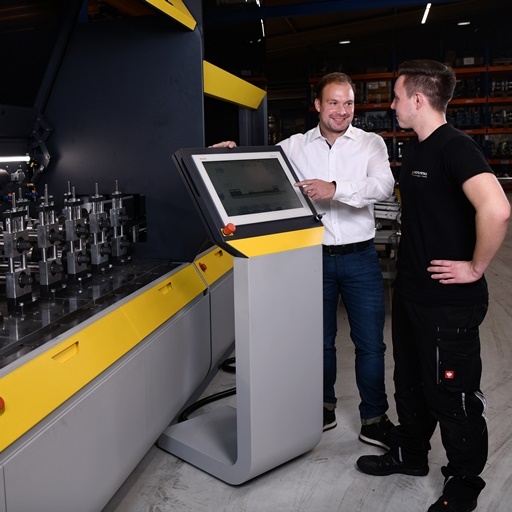 Profiling System 4.1 – From factory to customer in just 6 days. MORE FLEXIBLE THAN EVER BEFORE. Because it is completely modular and allows retooling in no time at all – like plug & play. MORE INDIVIDUAL THAN EVER BEFORE. Because it offers the human touch in terms of safety, noise protection, energy consumption, ease of use and servicing, as well as digital quality control. MORE ECONOMICAL THAN EVER BEFORE. Because it boosts your productivity and cuts your costs at the same time. You can manufacture faster, more efficiently and at a better price. Special applications, e.g. for manufacturers of doors or electronic components and others. Integration of forming processes in production lines.